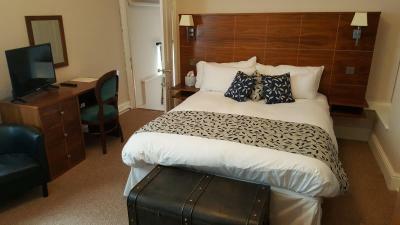 Lock in a great price for The Greyhound Hotel Cromford – rated 8.8 by recent guests! Lovely food in the restaurant and an amazing beef and ale pie. Comfortable bed and it was lovely having tea and coffee provided for in the room and the complimentary chocolates too. Very nice relaxed hotel. Good breakfast and comfortable room. great location, friendly staff, lovely restaurant. good choice of breakfast. Everything - very very nice Friendly welcoming Close to so much and food was amazing! 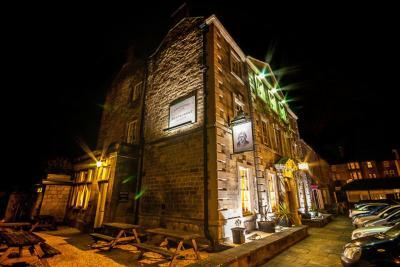 Lovely gastro pub/hotel in a beautiful Derbyshire village near interesting visitor attractions and beautiful countryside. The hotel had character, the menu was varied and quality, the staff were friendly, rooms were spacious and equipped with coffee machines. The bar, food and overall stay were very good. Would stay again. As it's our 4th time of staying there and booking again later in the year I think that says it all. The owners welcome us with open arms and all the staff the same. It made us feel great and that we are old faces to them. Staff were very friendly and went above and beyond to help my girlfriend who has a gluten allergy. Room was beautiful and the meal was one of the best we've had! 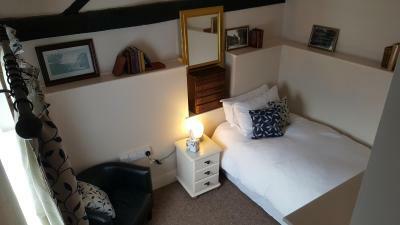 Excellent location, so close to Cromford Canal and The Mill. Cromford is a very attractive, interesting village. 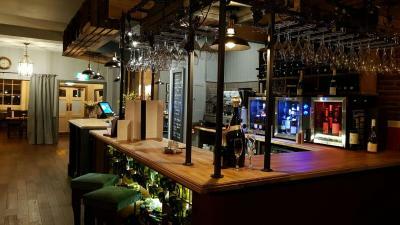 Parking is alongside hotel, great bar area, stylish, great breakfast. Bed very comfortable. Staff are competent and very helpful. 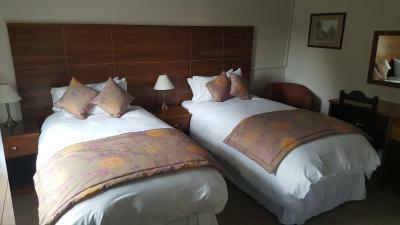 Intend to return, so much to do in the area, and this hotel ticked all the boxes for us. One of our top picks in Cromford.The beautiful and historic grade 2 listed Greyhound Hotel forms the principal building of Cromford’s Market Place and offers free Wi-Fi and free on-site parking. 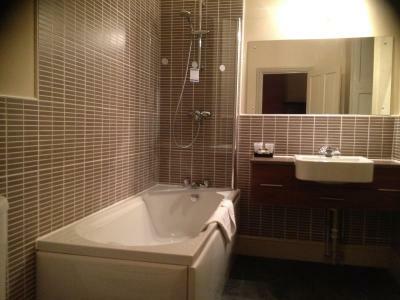 A flat-screen TV is featured in each room at The Greyhound, as well as an en suite bath or shower room. Tea/coffee making facilities are also provided. Cereal, toast, yogurt and fruits are provided for breakfast. 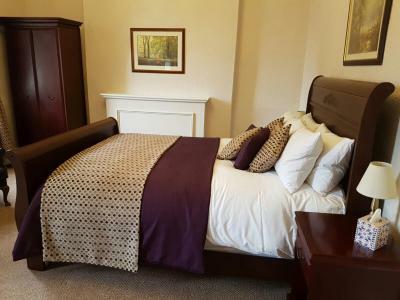 The edge of the Peak District National Park is just a 5-minute drive away, where guests can enjoy many outdoor pursuits such as hiking, rock climbing and cycling. The historic stately home of Chatsworth House is a 20-minute drive away, and Alton Towers theme park is just under 20 miles from the hotel. 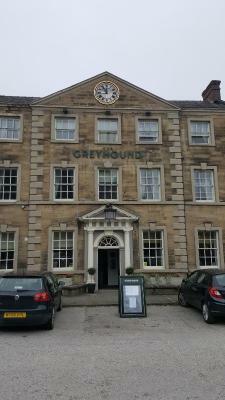 When would you like to stay at The Greyhound Hotel Cromford? 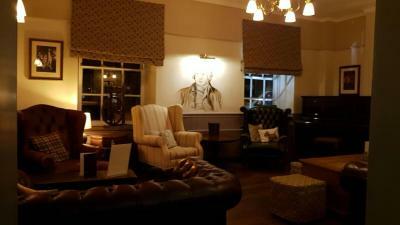 House Rules The Greyhound Hotel Cromford takes special requests – add in the next step! Debit card The Greyhound Hotel Cromford accepts these cards and reserves the right to temporarily hold an amount prior to arrival. 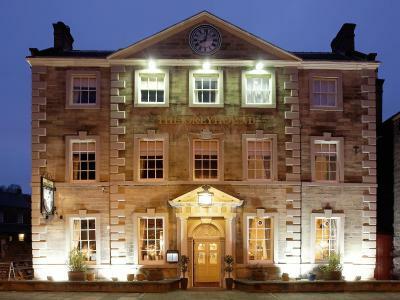 The Greyhound Hotel Cromford accepts these cards and reserves the right to temporarily hold an amount prior to arrival. Cereal, toast and yogurt and fruits are provided for the 'breakfast included' rates. Pets can be accommodated for GBP 20 per pet, per stay, subject to availability and by prior arrangement. Please note there will be a surcharge if there is any damage caused during your stay. Pedestrian crossing a bit noisy outside bedroom window. Excellent fish and chip restaurant opposite! Booking.com says that Cereal, toast, yoghurt and fruits are provided for breakfast. 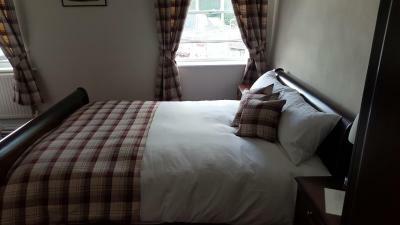 But it didnt state at a cost this makes visitors think it is include in room cost it should be made clear that there is a charge. The corossants were stale. Bedrooms were a bit hot and windows didn't open. The bed was a little too soft for me. 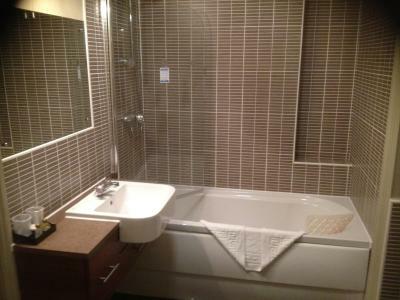 We really enjoyed our stay here , all we thought was the bath and shower in our room could really do with up grading .. Very friendly and efficient. Comfortable stay ! For us, there were no negatives. 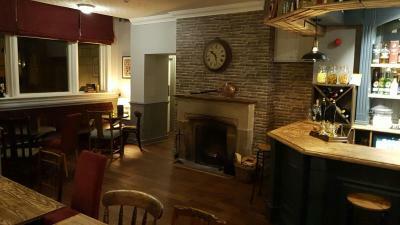 The room was a little too "cosy" but the relaxing bar area downstairs was a lovely place to sit. The whole experience was an unexpected bonus to our stay in the area. The manager was very friendly and happy to chat, recommending places to visit nearby. The hotel had its own history related to the changes that the Industrial revolution brought. Highly recommended. 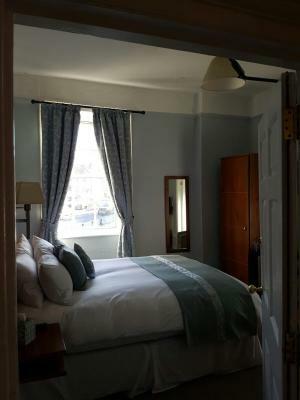 Lovely location and comfortable room.